Did you catch my March Madness Special Offer? This one is for 30 Minute Phone or Video “Energy Quick Fix” Sessions whoo hoooo! This is a targeted and effective way to get you untangled, unstuck, and back on track in any area of your life, your health, your business. 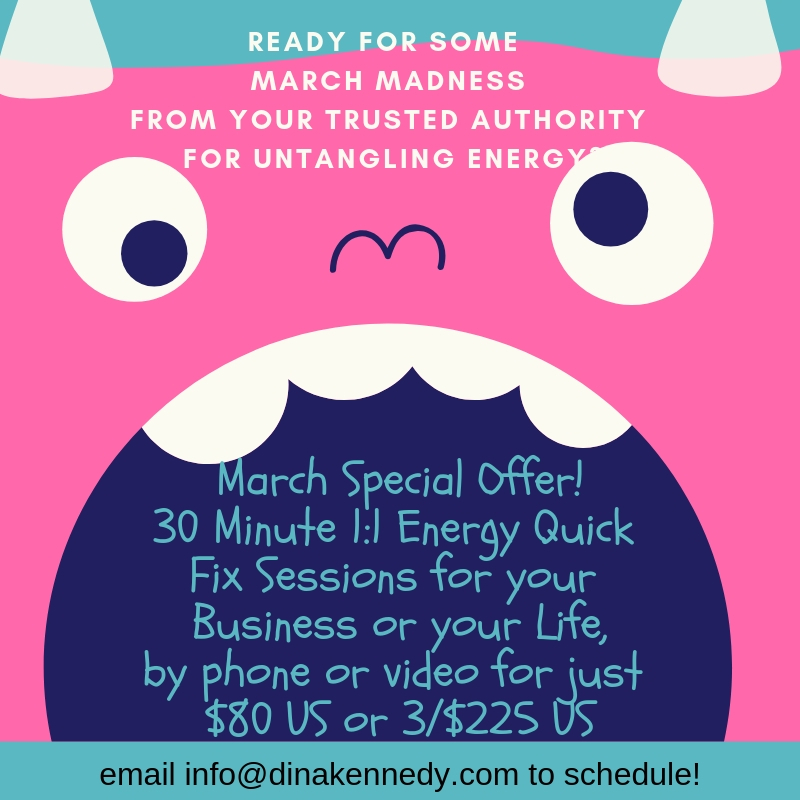 I don’t offer 30 Minute Energy Quick Fix sessions as a regular service, so be sure to grab this now before it’s gone. You can purchase 1 session for $80, or 3 sessions for $225. Purchase as many as you want to now, and use them when you are ready. Just send me a message letting me know you want in, and we’ll tale it from there.